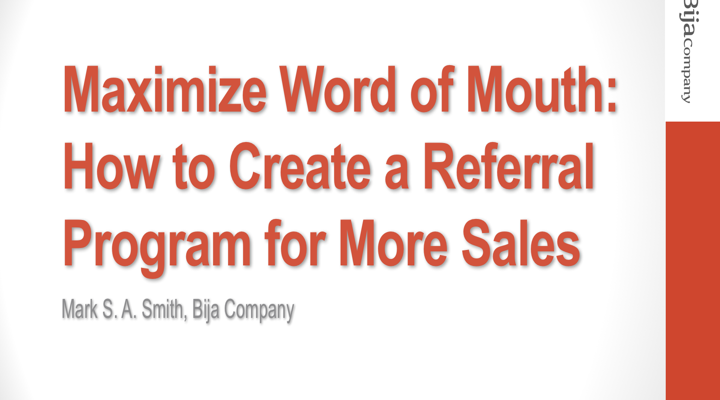 You know that word of mouth from satisfied customers is the best way to grow your sales. When customers talk about you, they do the selling for you. Yet do you have a formal program to get your customers talking about you? If you’re like most sales professionals, you don’t. And if you do, are you getting the most out of your referrals? In this program, you’ll learn how to create your word of mouth amplification system, which gets your customers talking about you.